I have this fish that's been in the family for 20 or 30 years, but no one seems to remember where it came from or what species of fish! Anyone have any ideas as to the species or possible location? Thanks! 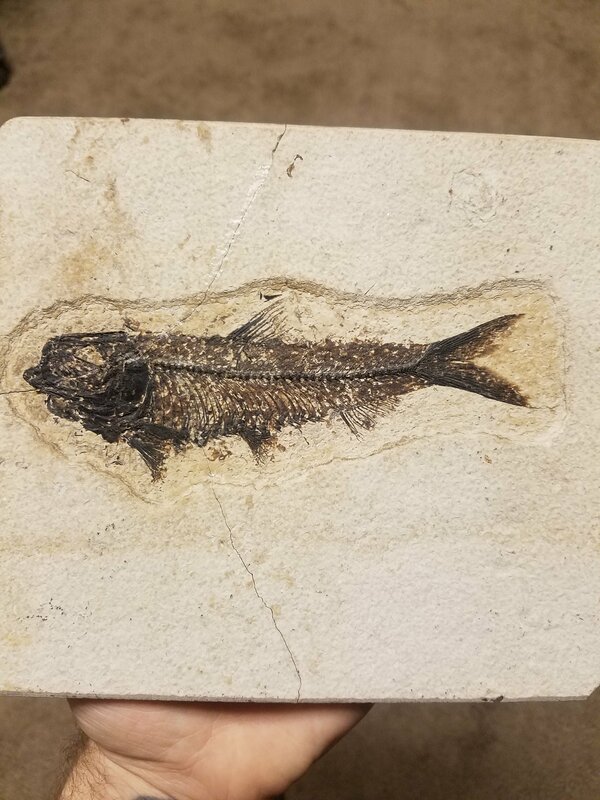 It's a Knightia from the Green River Formation. Knightia eocaena from the Eocene Green River Formation in the USA. That is a really nice sized Knightia eocaena. A good example, despite a bit of added paint. How do you guys tell the difference between K. eocaena and K. alta? 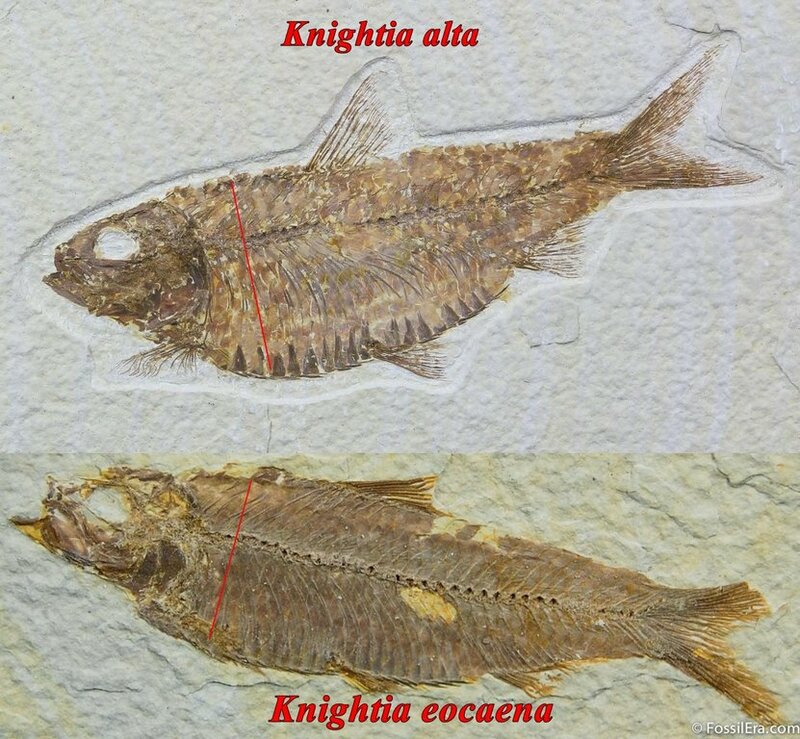 Knightia alta is normally shorter and more fat than K. eocaena. @gigantoraptor @Fossildude19 Thanks guys That helps! Slow getting the book out, but yea alta looks kind of like the beer drinker of the Knightia world.